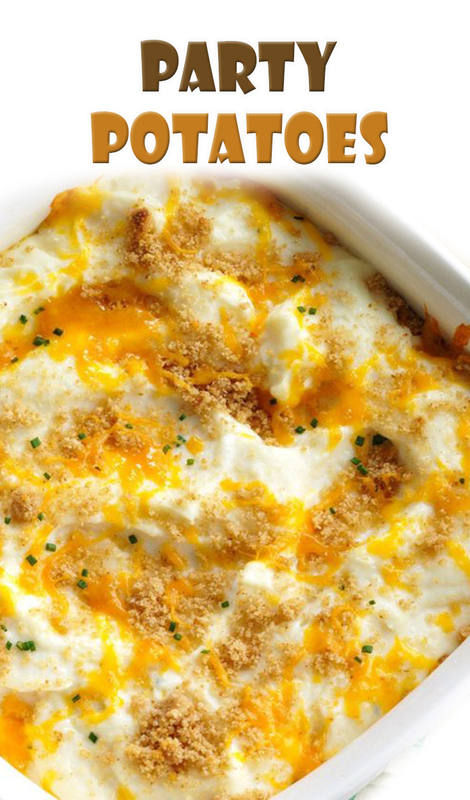 In a large bowl, combine potatoes, sour cream, cream cheese, chives and garlic powder. Turn into a greased 2-qt. casserole. Combine bread crumbs with butter; sprinkle over potatoes. Bake at 350° for 50 to 60 minutes. Top with cheese and serve immediately.